Eric G. Postel is Assistant Administrator for USAID's Bureau of Economic Growth, Education, and Environment. He is the founder of Pangaea Partners, an investment banking and consulting firm focused on emerging markets. Previously he worked at Citibank Tokyo, and on clean energy startups and energy-efficient projects in the United States. It has been a pleasure to read this blog series on microfinance. Thank you to everyone who shared their stories and experiences on the evolution of the microfinance field. USAID is fortunate to have partnered with the best and brightest over the years, people who recognized the critical importance of financial services for the poor and committed their lives to making it happen. Today, microfinance is a household word and, thanks to the doors it opened, hundreds of millions of people now have access to formal financial services. This is a true testimony to the energy, enthusiasm, and dedication of people from the ground up who have worked together to create this ‘game changer’ in development. USAID staff and partners should feel proud of these accomplishments. I especially would like to acknowledge the important role that USAID’s Foreign Service Nationals (our local USAID staff) played in getting this work done in the field. Reflecting on USAID’s long-term support for microfinance, it is an incredibly rich story as the field began, grew, and came of age. USAID sparked interest and support for microfinance around the world through its early investments in the 1970s and 1980s. We were one of the first large donors to recognize the importance of small and microenterprises as a source of income and employment for the poor, and the role that financial services could play in developing those enterprises. The results of much experimentation and learning proved that poor people were ‘bankable’ and led to dialogue and debate about best strategies, lending methodologies, and delivery channels to reach the poor. This led to USAID’s promotion of a financial systems approach in the 1990s that engaged commercial banks and other formal institutions, transformed NGO credit programs into banks, trained and provided technical assistance to lawmakers and regulators, and built sustainable and scalable financial institutions for low-income households. This enabled funding for microfinance to shift from donor grants to private capital. While much of our work focused on the commercialization of microfinance, we also kept a focus on clients and the importance of well-designed, appropriate financial services to improve the lives of the poor. USAID’s work on the demand side of microfinance involved assessments of clients, their household economic portfolios, their cash management strategies, and their use of financial services. By 2000, USAID (along with others in the field) recognized the need for financial products and services beyond credit and broadened its scope from credit for enterprise development to financial services for the poor. Attention focused on diversifying financial products, building client-driven services, and broadening financial delivery systems for the poor. This gave rise to today’s work on social performance, consumer protection, and financial capabilities – all central to our mission to end extreme poverty. A look back on this evolutionary journey reveals some of the principles that drove our work. We started out by grounding our work in evidence-based theory and practice. We not only built on the ILO’s work on the informal sector and Ohio State University’s work on rural finance, but supported pilot projects to test different methodologies and approaches and identify best practices for lending to the poor. With great ambition, we started small, working from the ground up to engage non-governmental, non-profit, and private sector promoters and providers of financial services in true partnership. From the beginning, we promoted an inclusive approach, engaging not only a range of institutional actors – NGOs, PVOs, banks, credit unions, practitioners, policy makers, and researchers – but different client segments, spanning small and microenterprises, urban and rural households, different poverty levels, and a range of excluded groups (socially isolated, economically vulnerable, and geographically remote). USAID played a key role in building networks, forging partnerships, and promoting a learning approach that encouraged research and evaluation, dialogue, and debate. Perhaps most importantly, throughout our journey we stuck to three basic principles: scale, sustainability, and impact, circling back and forth as challenges arose and debates ensued on how to tackle each of these challenges. Many of the same principles that guided our work in the past, guide our work today. Today, microfinance has spread throughout the Agency, as a means to achieve broader goals – food security, value chain development, improved health and nutrition, investments in housing and education, as well as enterprise development. 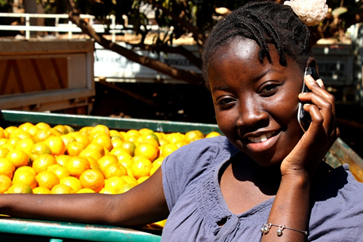 Microfinance has given way to the broader global agenda for financial inclusion. This is a significant paradigm shift that now concentrates on mobilizing private capital, engaging a wider set of institutions in providing financial services, and utilizing digital technologies to lower costs and reach wider and deeper into hard-to-reach markets at an unprecedented scale.